Considered as the semifinals for the Assembly polls scheduled later this year in Rajasthan, the crucial by-polls for the two Lok Sabha constituencies and one Assembly seat are all set to be fought on the caste lines rather than on issues or the personal merits of the candidates. 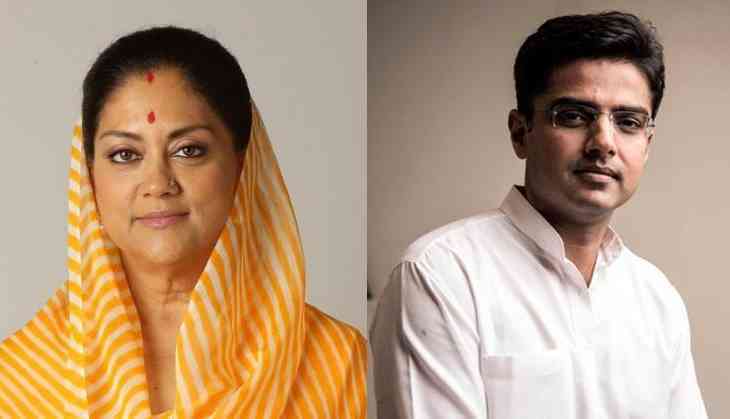 The polls have become an issue of prestige between the BJP Chief Minister Vasundhara Raje and the Congress leaders, the former Chief Minister Ashok Gehlot and the Pradesh Congress Committee president, Sachin Pilot. While all three seats were won by the BJP in the previous elections, retaining them appears to be an uphill task for the saffron party owing to a number of factors. Sachin Pilot is trying hard to prove his mettle in the state by winning the by-elections but his difficulties arise from the in-fighting among the top brass in the Congress in the state. For the BJP also, a number of national and state-level developments are posing a serious challenge. They include issues like demonetisation and GST brought about by the NDA Government at the Centre and the killing of the gangster Anandpal last year in a police encounter. The pending issue of farm loan waiver is also an irritant for the ruling party. Keeping in mind the challenges, Chief Minister Raje herself is campaigning in the constituencies. Same is the case with Pilot, who is hitting the roads to boost his party’s prospects. However, apart from the personality factors and the political and economic issue one aspect that stands out in all the three constituencies is the caste factor. This is more so as the candidates have been fielded by both the parties after taking into consideration their respective castes. For Ajmer, BJP has fielded former MP Sanwar Lal Jat’s son Ramswaroop Lamba. The Jats are the second largest community here after the Schedule Caste voters. The seat has more than three lakh SC voters followed 2.5 lakh Jats. The Muslims, Rajputs and Gurjars individually constitute 2 lakh voters each. Others include more than 1.5 lakh Brahmins, Banias and Rawats and Mali voters. The Congress choice in Ajmer, Raghu Sharma, is a senior leader in the State. He has served as the chief whip of the party in the state in the past. In Alwar, the Congress has fielded Karan Singh Yadav while the BJP has gone for Jaswant Singh Yadav. Both the parties have targeted the dominant Yadav vote bank. There is more than two lakh Yadav voters in the constituency bordering Haryana. Alwar has an equal number of Brahmins, Meo Muslims and Scheduled Castes (SCs). The electorate here also include more than a lakh Meenas, 80,000 Malis and 50,000 Rajputs. In Mandalgarh, Dhakkads, a farming community, numbering about 40,000, form the majority of the voters. Besides them, there are more than 30,000, SC/STs, 25,000 Brahmins, and around 10,000 Rajputs. Targeting the dominant Dhakads the Congress has fielded Vivek Dhakad, a local leader while the BJP has given the ticket to Shakti Singh Hada, a senior BJP leader in Bhilwara district. READ NEXT >> India vs South Africa, 3rd Test: This Indian cricketer makes big comment for Virat Kohli & Co.